. إن Mantra Crown Towers Resort Apartments حريص على توفير الراحة للنزلاء، فلا يوفر الموظفون جهداً في تقديم أفضل الخدمات وضمان حسن الاستقبال. يقدم الفندق فرصة للاستمتاع بشريحة واسعة من الخدمات بما فيها: أمن على مدار 24 ساعة, خدمة التنظيف يوميًا, خدمات بريدية, خدمة سيارات الأجرة, مجهز لذوي الإحتياجات الخاصة . تتضمن كل غرف النزلاء وسائل الراحة والتسلية المصممة خصيصاً لضمان الراحة القصوى للضيوف. يمكنك الاستمتاع بالأجواء المريحة التي تقدمها حديقة مائية, حوض استحمام ساخن, مركز للياقة البدنية, ساونا, مسار جولف - ضمن 3 كم طوال النهار. 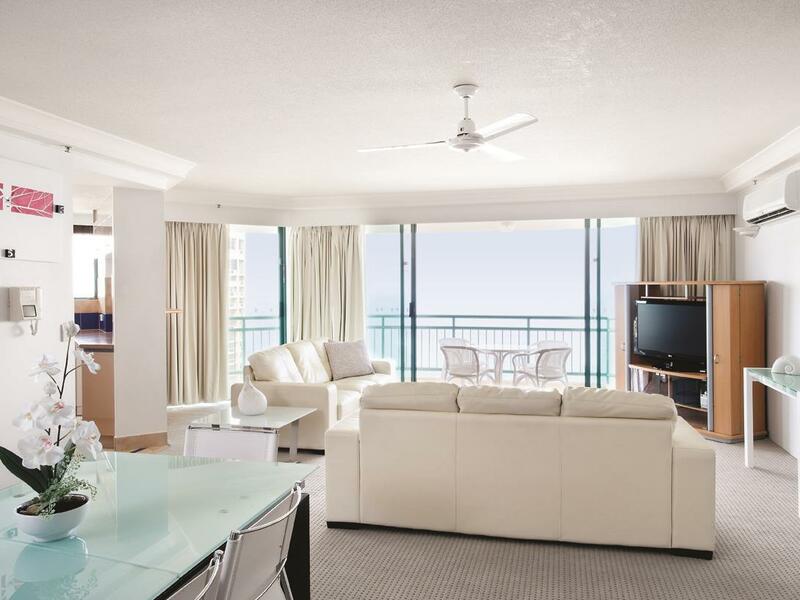 استمتع بخدمات لا يعلى عليها وعنوان ذو اعتبار في Mantra Crown Towers Resort Apartments . ساعات عمل مكتب الاستقبال في هذا العقار من الساعة 07:00 صباحًا إلى الساعة 08:00 مساءً كل يوم. إذا وقعت ساعة تسجيل وصولك خارج هذه الأوقات، يرجى الاتصال بالعقار قبل الوصول بيومٍ واحد على الأقل. يخضع الجزء الخارجي لمكان الإقامة للتجديد حتى 31 مايو 2019. خلال أعمال التجديد، قد يتم تقييد المرافق الترفيهية من الساعة 7 صباحًا حتى الساعة 3:30 مساءً. Stones throw from the beach Easy walk to shops, restaurants and activities. Multiple pools to suit all ages and abilities. Room was dated and in need of renovation. Phone taped to wall. Hair dryer did not work. 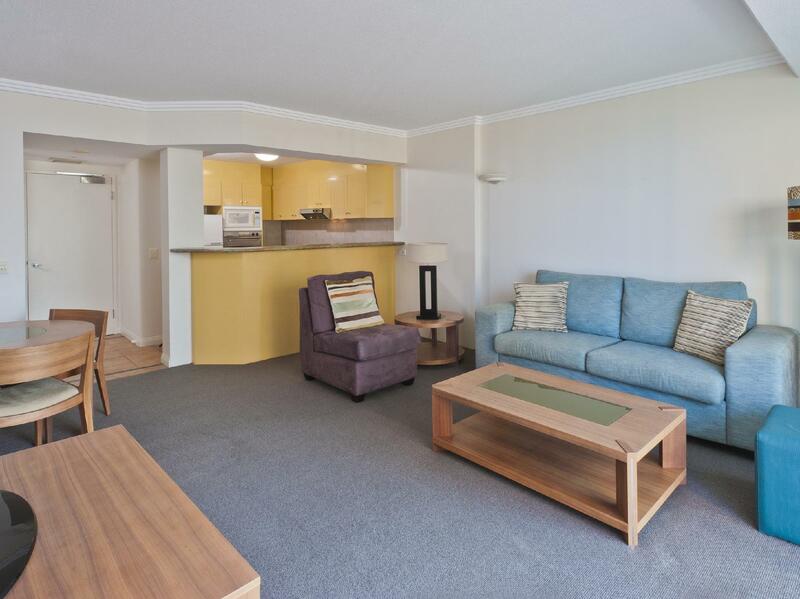 Great hotel within walking distance to surfers bars and restaurants. Would definitely stay here again. The hotel facilities are perfect for a family with kids. The pool area is beautiful and diverse. A super adventure wonderland to keep children of all ages occupied. The hotel has good facilities and is perfectly located in Surfers only a short stroll to the beach. Would stay here again. Fantastic location. Perfect for what we wanted. Apartment was a great size and was pretty well equipped. We did miss not having tongs or a cutting board in the kitchen. We were on a lower floor and would have liked sheer curtains. Facilities were great. We used the outdoor spa. We had dinner at the Thai restaurant and that was also lovely. Great facilities: pools/sauna/hamam. Good kitchen and washing machine/drier. We really enjoyed our stay. Great location to shops, restaurants, tram, bus stop & beach. Pool was quite sheltered & plenty of space so if weather not suitable at beach, pool was great. When we arrived, we were told that we had to put a $200 deposit down. I wasn’t told this when I booked the room. Yes it was in the small print on the hotel web site, but I booked it through another site. I wasn’t told through the site I booked it. I think it’s better to be told up front. So people are prepared. Also when you get that deposit back when you leave it should only take a couple of days not 2 weeks. Our room was nice, just needed a fresh paint and few damaged spots fixed. The view was amazing, top location close to everything. It was a relaxing week away. Pool area was great for kids. Rooms are dated and a bit tired but soundproof, good aircon and some views. Not pleased that we couldn't get our money back from the games in the games room that took our money without providing anything in return. Alpha restaurant located inside hotel was appalling. Terrible service, awful food. We went twice, once for dinner, food took ages to arrive and they weren't busy, didnt get second lot of drinks, they were standing around doing nothing. Second time went back to give them the benefit of the doubt and order was completely wrong and instead of apologising they argued with us. Hotel needs to get a new restaurant in. The hotel is a bit old-furnished and has some sort of salty smell as we enter the room each time. Not sure if it is the air con or because the room is located near the beach. About 10 mins walk from surfer paradise n a tram station jux below the hotel,which make good access to other parts of Gold coast. Staff are helpful. Beautiful pool area. Absolutely fabulous Thai restaurant downstairs, actually dined there twice, plus it is BYO !! One block from beach, plus the tram station is 100mts away. Other nice reastaurants near by. 711 store across the road which was handy. The view was great! There's a small open air amusement park just across the road & we can see the folks bungee jumping & screaming at night. The location is perfect! Tram station is on one side, bus stop on the other side of the apt. The core Surfers Paradise is just 1 tram station away, actually even within walking distance.The reception staff were friendly & helpful, we kind of visit them every morning to ask for directions & to buy bus cards (GO card). Supermarket (Coles) is just 5 mins walk away, there's 2 convenience stores within 3 mins walk. The apt itself is v well maintained, clean, free of smoke smell, complete kitchen amenities. Eating out on the main street (surfers paradise) is a little exp, but u just have to turn the corner into side streets, there r so many smaller, less exp eateries, chinese cooking, jap, kebabs, etc. There's sauna & steam rm in the ladies changing rm in the indoor pool. The hotel is beautiful from the moment you walk in. Lovely relaxed environment. With an outdoor lagoon pool, kids lagoon pool with a slide, indoor heated pool, an indoor and outdoor spa, arcade room, pool side cafe, Thai restaurant and another little restaurant, there isn't much need to leave the hotel. 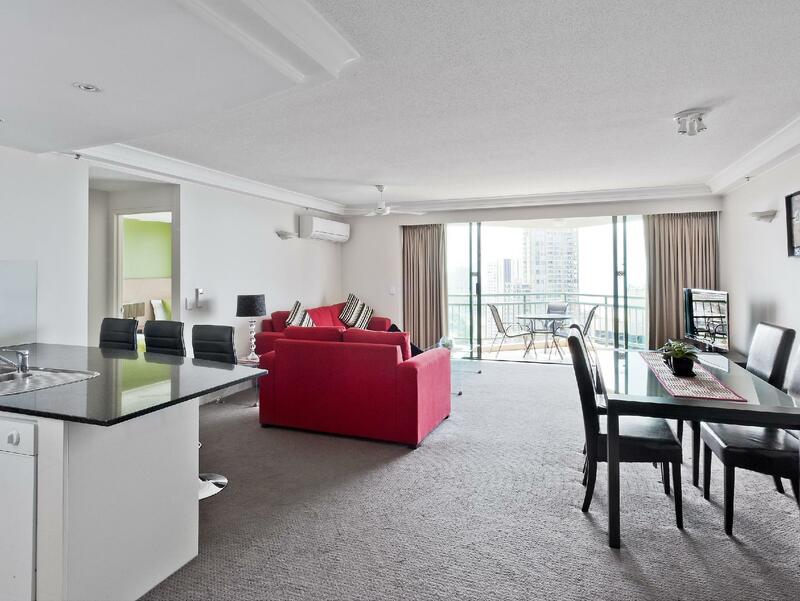 The location is great and only a very short walk to the beach and Cavill Ave/Timezone. We had a 1 bedroom apartment for myself, my husband and our 1 year old. It was more than enough room although the only downfall is that the room was a bit outdated and lacked in kitchen supplies. The staff were amazingly helpful when it came to our requests and concerns/questions. The security latch on our door was broken and once mentioned to the staff, they had it fixed very promptly. Having never really given the Gold Coast a chance, we we're very happy with our experience. Will definitely recommend to anyone and everyone and we will most certainly be back! Fantastic hotel/resort couldn't really fault the place only that I was on a lower level and my room didn't have a spa bath oh and the water pressure on the shower wasn't to great other then that this place had everything u need or could want to do I felt relaxed and at home the whole time so all in all I would stay here over and over again no fuss and recommend it to anyone looking for a great place to relax. If you want a very large North facing balcony choose apt 309. The higher floors have better views but very small balconies. Hotel is a bit tired but a good holiday atmosphere with coloured beach hut doors on the apartments. 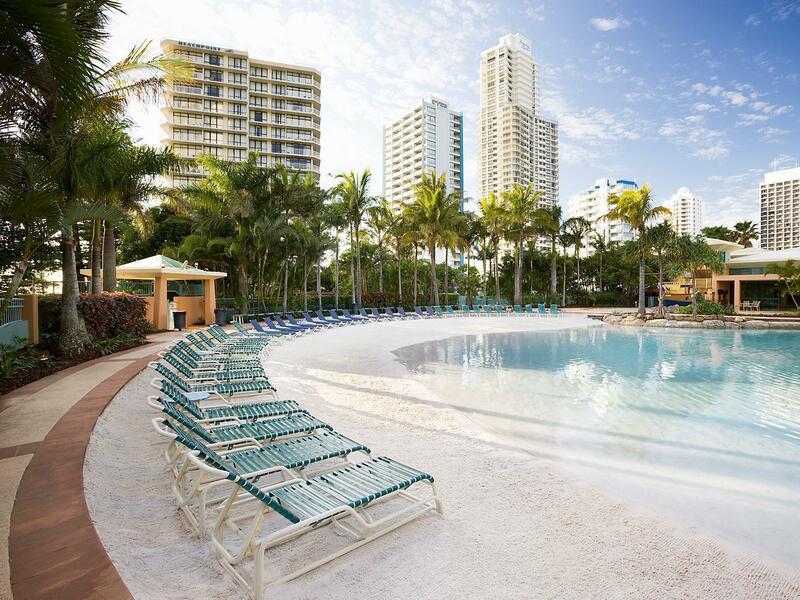 The huge outdoor pool has a sand beach. Two other pools and a gym. Great for the kids. The Thai restaurant with elephant carved seats serves great food. Free parking. Next to a tram stop. Short walk to the beach, shops and restaurants. Can't think of any negatives.